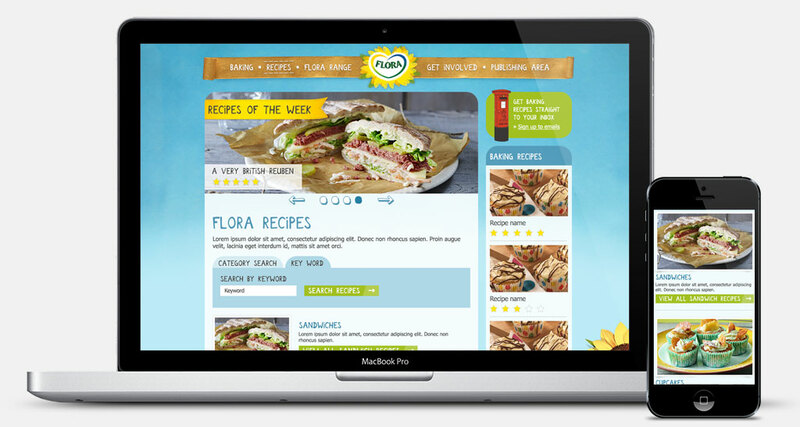 flora.com site redesign: Having rebranded their packaging Flora set us the challenge of redesigning their main brand site. 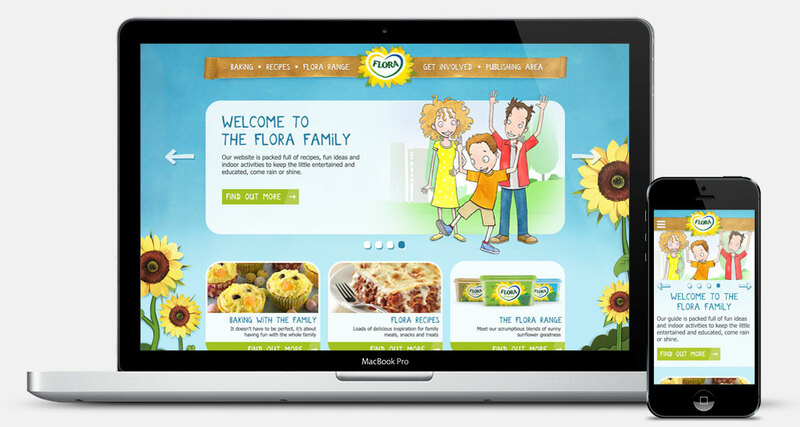 With a heavy focus on recipes for busy mums and the sunflower goodness contained in every tub of Flora, the site was redesigned to reflect the updated brand style. This fully responsive site was designed and built as an agile project, enabling us to create a site that not only looked good but worked well across multiple devices. My involvement: I worked closely alongside a user experience specialist and the development team as lead designer on this project. 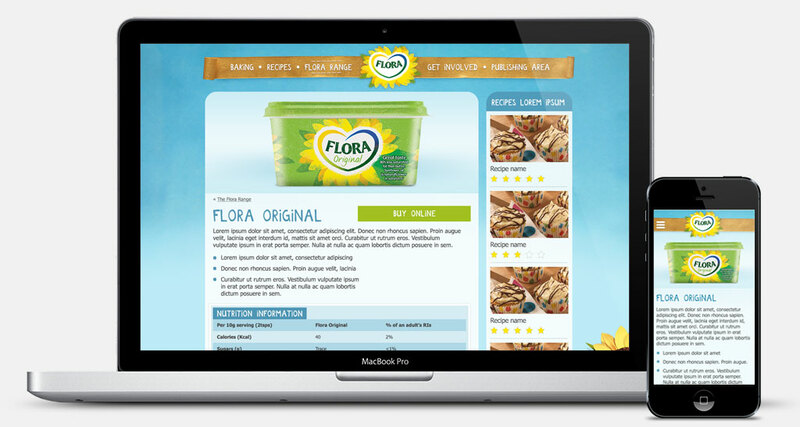 Taking the initial wireframes I designed a fully responsive site that reflected the updated Flora look and feel that was established by a packaging update and a previous ATL campaign.